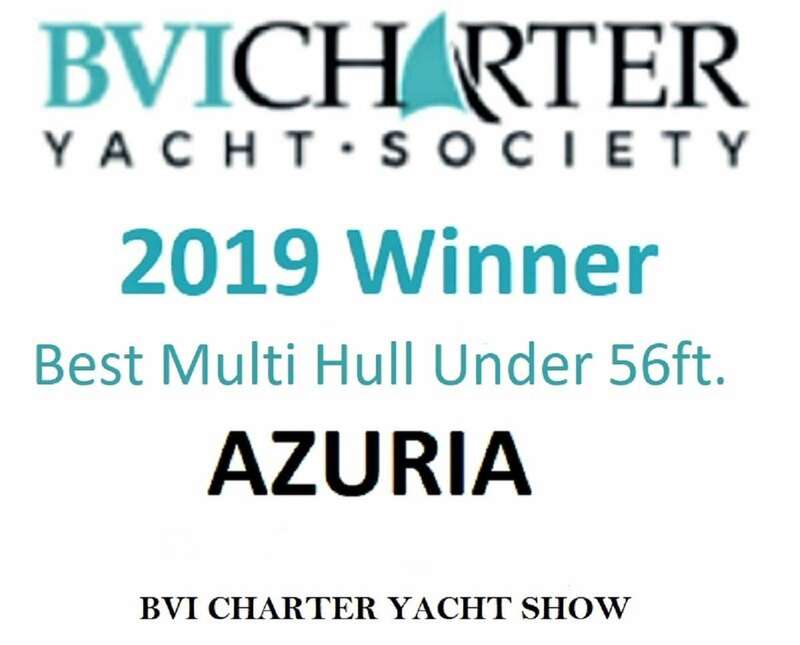 AZURIA is a beautiful Lagoon 50, refit in 2018, offering 3 queen cabins each with private bath. 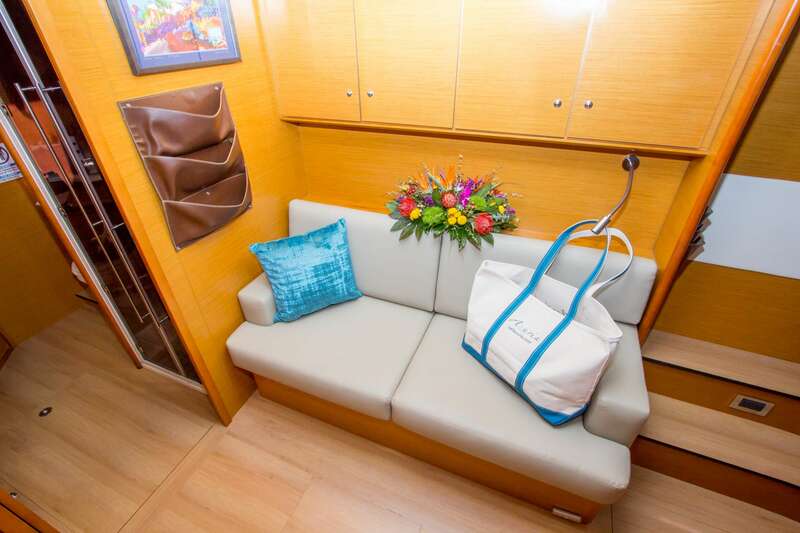 The master cabin is larger and includes a private sofa and lounge area. 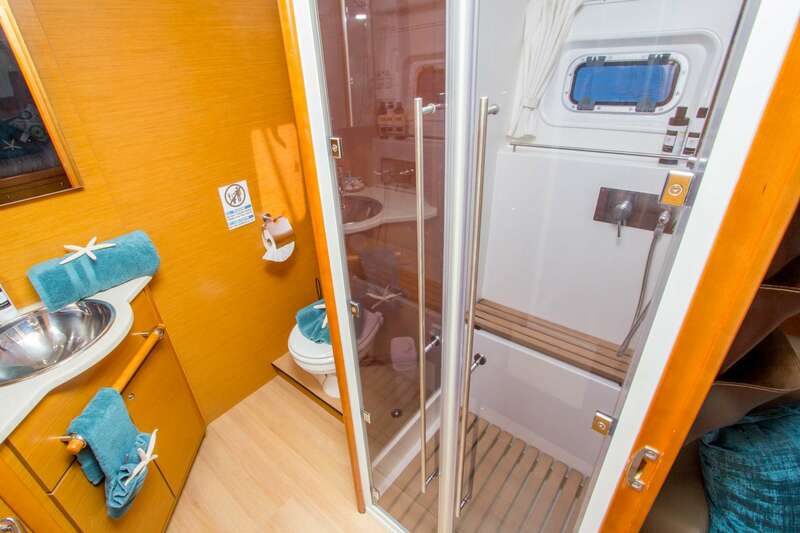 Master cabin also has own ensuite head with a separate shower stall, electric head and vanity. 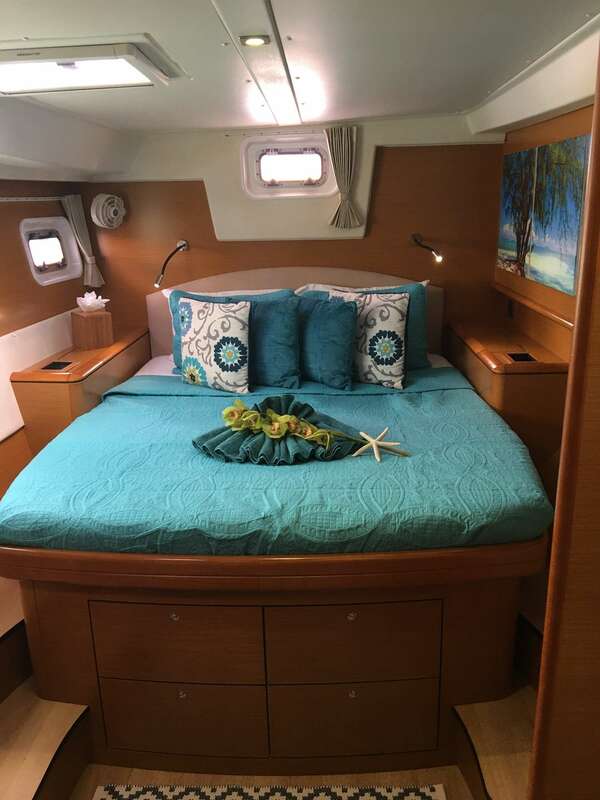 The other two spacious guest cabins each have a queen size berth, ensuite bathroom with electric toilet and semi-wet shower area. 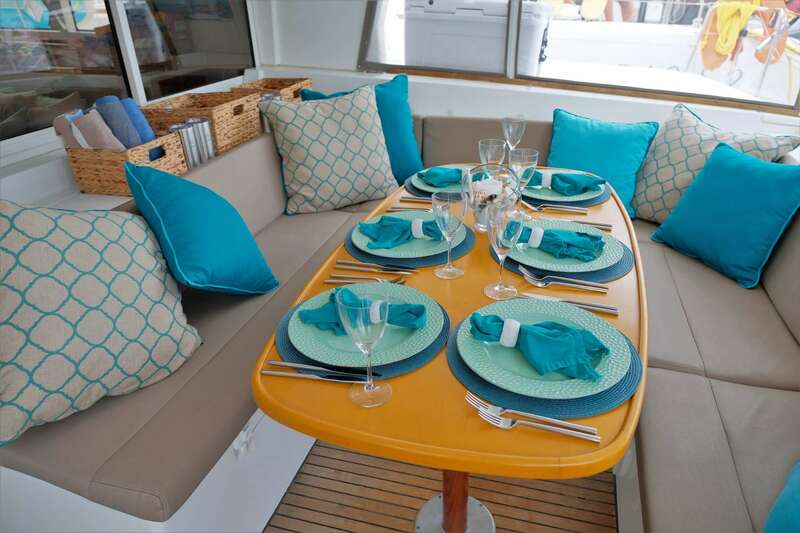 There is plenty of deck space for alfresco dining, lounging and sunbathing. 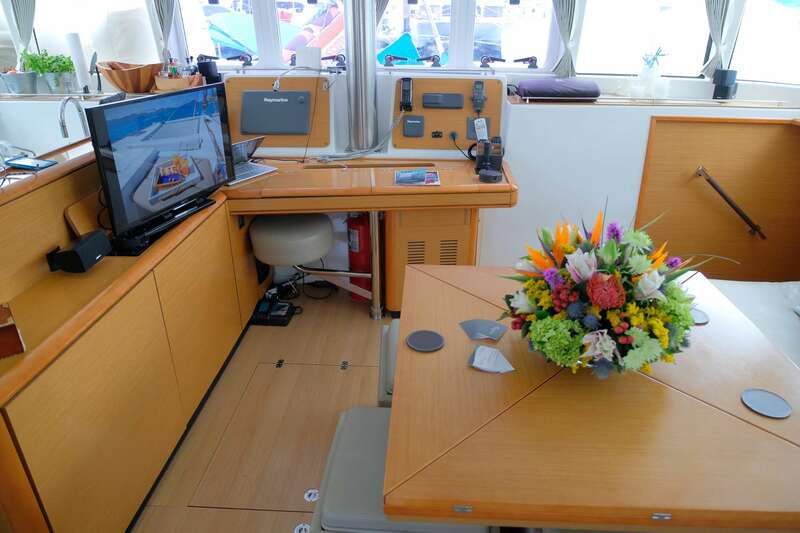 All cabins have individually controlled air conditioning units for client comfort . 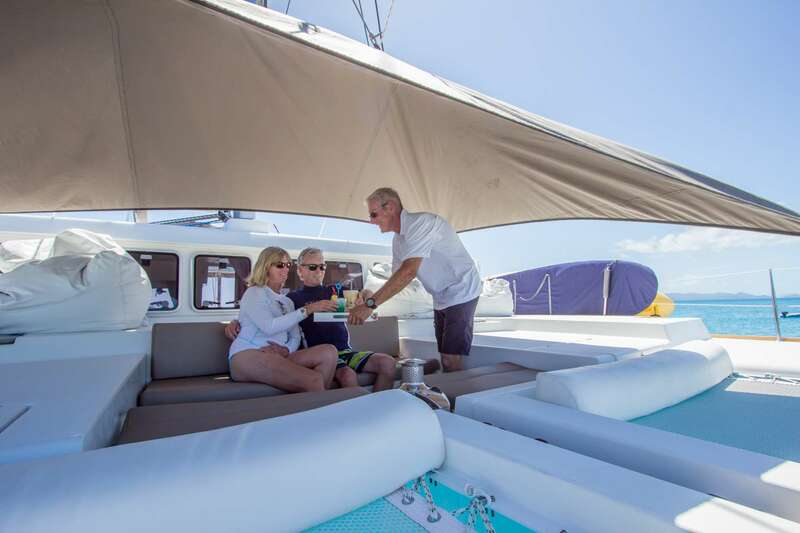 Three guest cabins with queen size berths. The Master Cabin has a separate shower stall, the remaining 2 guest showers are semi-wet showers. 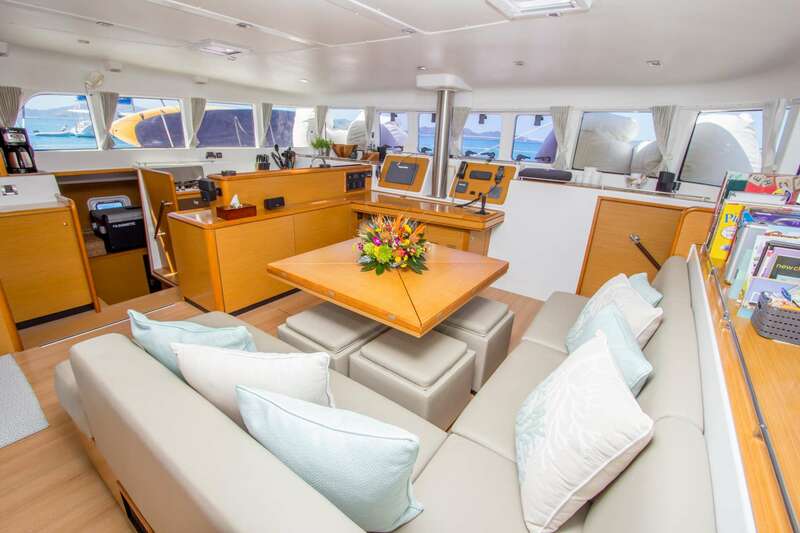 Spacious main salon and cockpit for lounging, dining, socializing and watching the sunsets.